Well, would you believe it? We’re half way already from last Christmas to the next! And, yes, we’ve mentioned the ‘C’ word this year in record early time!! It has been very much a case of more of the same in terms of work at Preston this week. Ade failed to score with Caliban‘s last spring hanger pin last Wednesday and is now looking for a plan Z for this week. We will, as ever, keep you posted. There is more varnish on GER No. 5 with still plenty more to apply once John Dixon has finished filling in all the remaining cracks in the woodwork. 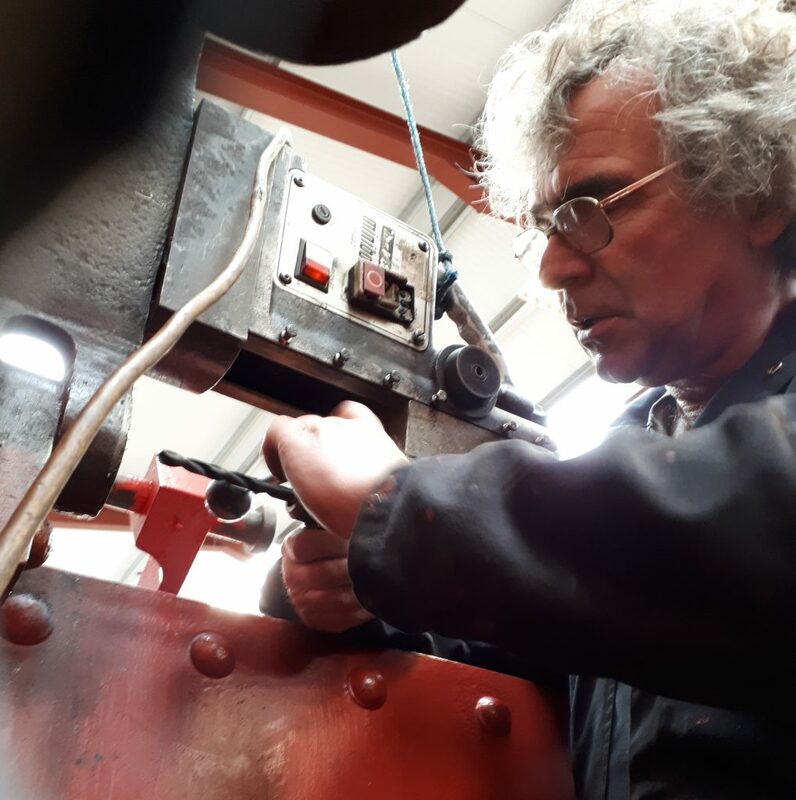 Meanwhile Mike and Paul Newton have been working on a plan to create a replica works plate for Rachel, Ken Nuttall’s petrol Simplex at Haverthwaite, for Roger who has been working on it for some time now. 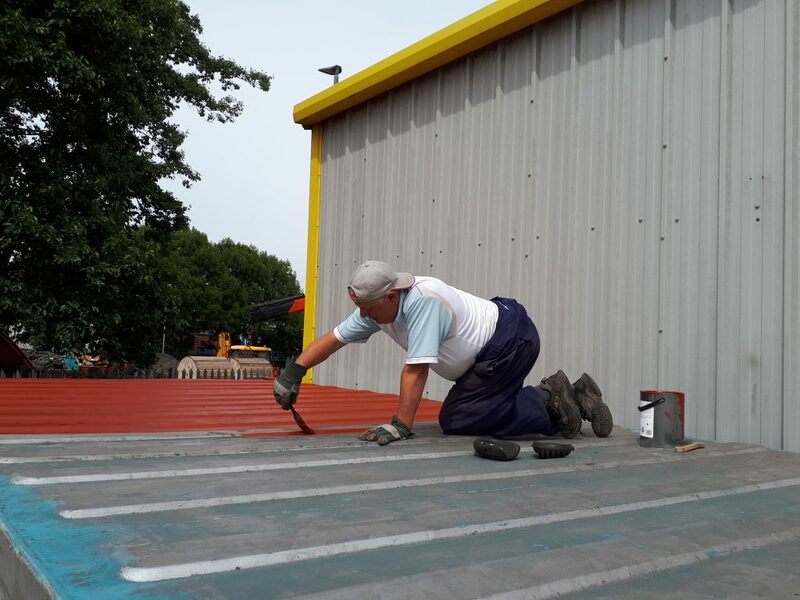 John Davis has been back on the roof of the mess room with yet more paint and it is hoped to move down to the sides in the not too distant future, Fred having given them a good clean. A last reminder that the AGM will be held in the shed at Preston tomorrow (Tuesday) evening at 19.30. Alison promises some home baking, so those attending please make sure you leave some room when having tea. Finally, Alan, Tim and Pete, otherwise known as Live Steam, have been booked to appear on stage at the Bolton Station Community Rail Day next Saturday, provisionally from 3 pm until 4 pm, with their repertoire of railway songs. There’s plenty more progress to report at Preston this week. 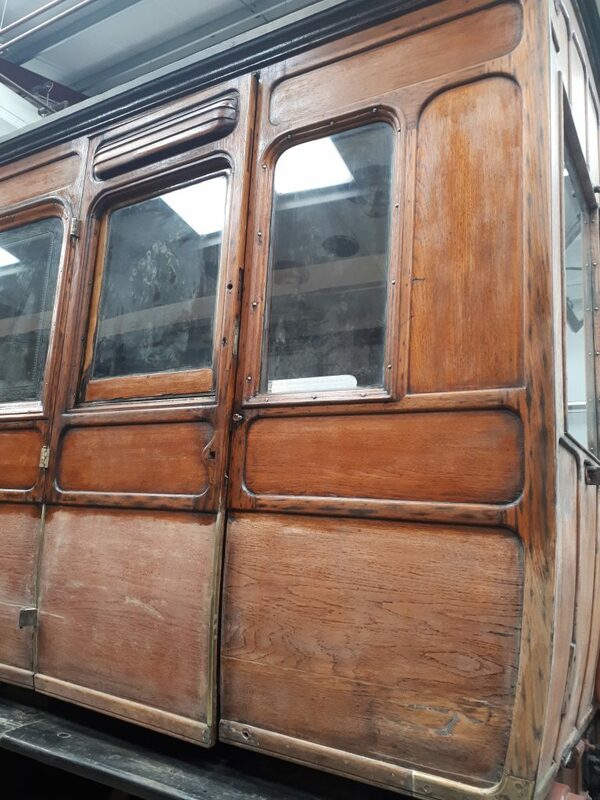 John Dixon has been moving around the Great Eastern Railway Royal Saloon No. 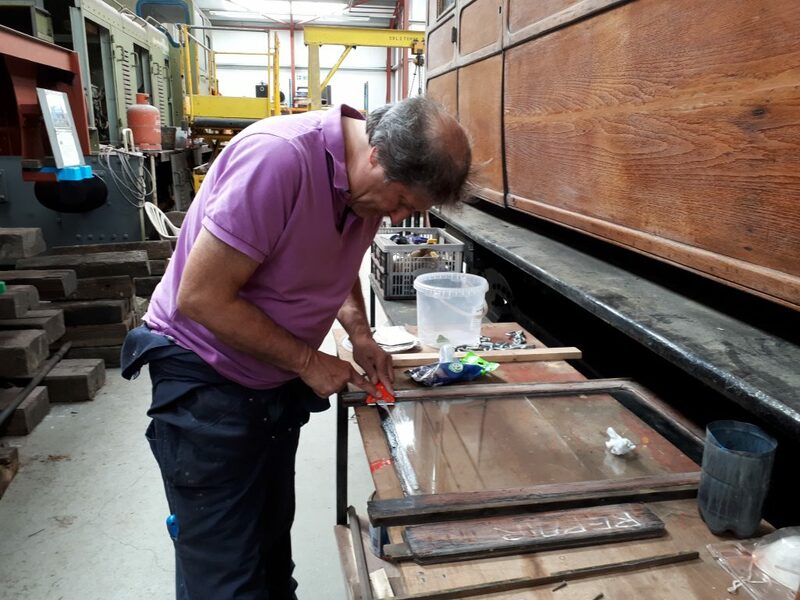 5 filling in cracks on the teak panels whilst Mike Rigg has repaired one of the window frames. Tim has continued the task of applying gold size and a first coat of varnish, which has been completed on the north side and east end. Adrian spent Wednesday trying to drill out the last remaining spring hanger pin on Caliban, but to no avail so far. So plan B is for next Wednesday, although Ade hasn’t yet told us what that may be. 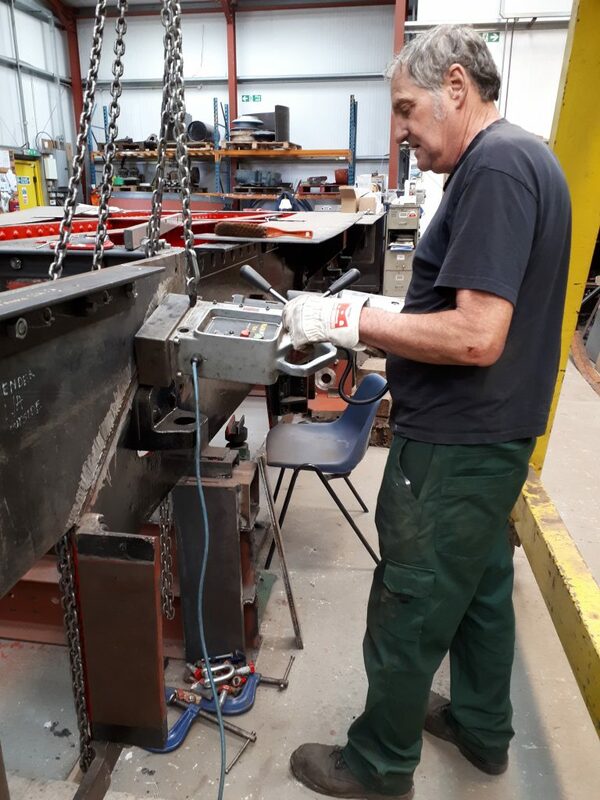 Howard has been trying to release the retaining screws on top of the spring hangers and he is seen here with David applying plenty of pressure on a stubborn screw. 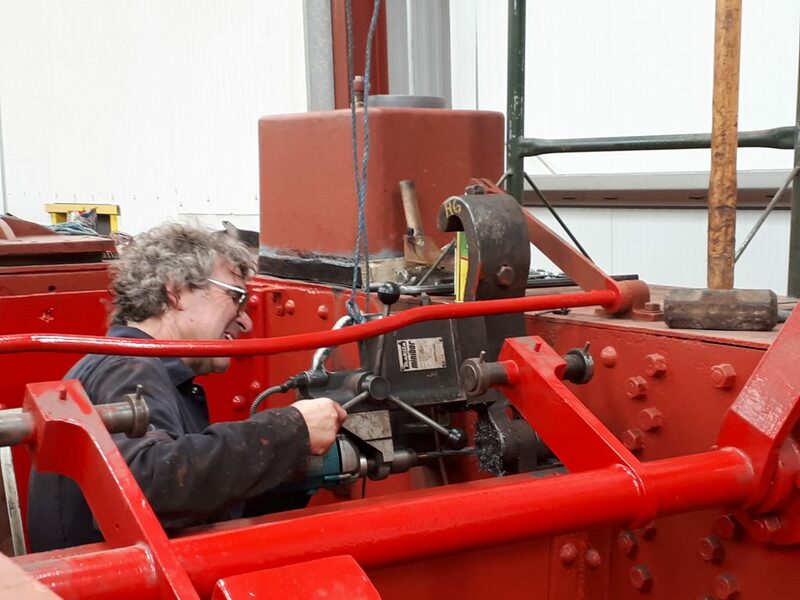 Meanwhile Keith has been doing some more drilling on Wootton Hall‘s tender frames and is expecting Matt Gervis to appear on Thursday to start fitting some rivets. The NDT man is also expected this week to test the tender axles. Outside the shed John Davis has been painting the mess room roof and, with the assistance of Fred, the outside is looking much cleaner in readiness for painting. A 1949 Duple bodied Bedford made an appearance for the RSR’s Beer and Cider Festival over the weekend, but unfortunately Owd Sue, as she is known, succumbed fairy early in the proceedings owing to the failure of a lift pump. A replacement bus was supplied very promptly by Coastal Coaches. Finally, we include a photo taken on the 27th May of Alison with one of her cream teas. Following on from the announcement in last week’s blog of the sad passing of Chris Mills, we can now confirm that Chris’s funeral will be held at Preston Crematorium at 11.30 next Monday, 18th June. This will be followed in the early afternoon by a gathering at the Ribble Steam Railway where light refreshments will be available. In the workshop there was a marked step forward on the (not so) mini project to remove the remaining extremely stubborn spring hanger pins from Caliban‘s frames. A further four pins were removed with the aid of an air powered hammer. Ade and David Starkie are seen here in action. Unfortunately, the air compressor sprang an oil leak and one pin, which has so far shown not one iota of movement, is still left to be extracted. Sanding of the exterior woodwork of the Royal Saloon GER No. 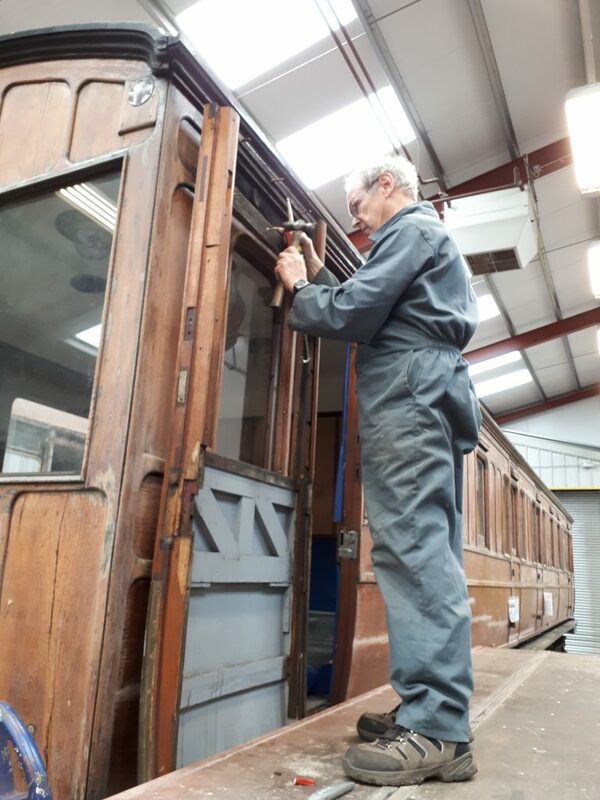 5 has been completed and John Dixon is working his way around the coach with the wood filler. Tim has therefore been able to start the process of applying gold size, the effect of which can be seen by the accompanying photo, where the upper panels have received the gold size. Almost the whole of the north side of the vehicle has now been treated and more progress is anticipated this next week. Outside the shed, there has been good progress on preparing the exterior of the mess room for painting. 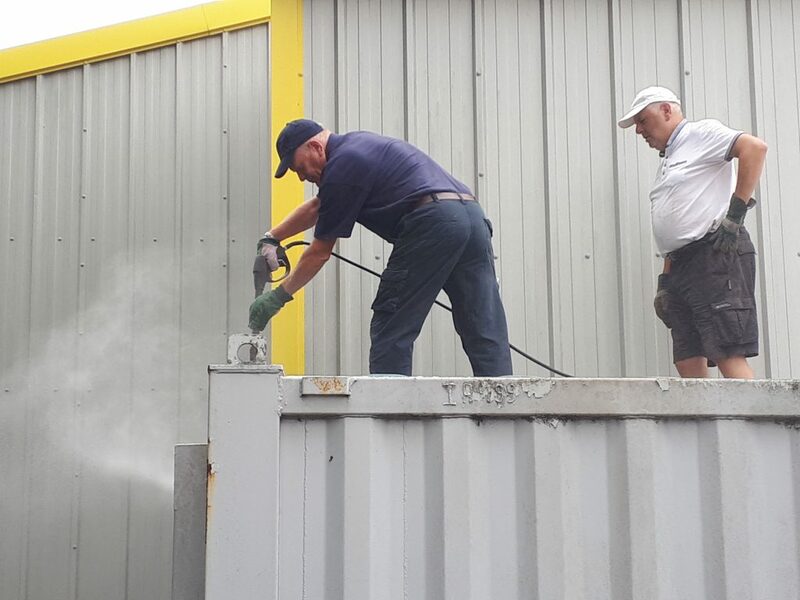 Fred had started the job the previous week and Paul Newton and John Davis are seen here on the roof applying the full force of the power washer. More red oxide on the exterior had appeared by the weekend and it is hoped to be able to continue this progress whilst the weather holds fair. A further visit was made to Carnforth on Thursday by Alan, Keith and John Dixon to gather together the remaining small components that could be transported back to Preston with the RSR’s pick up. The next stage is to arrange a crane and lorry to transport the frames, wheels and tank. 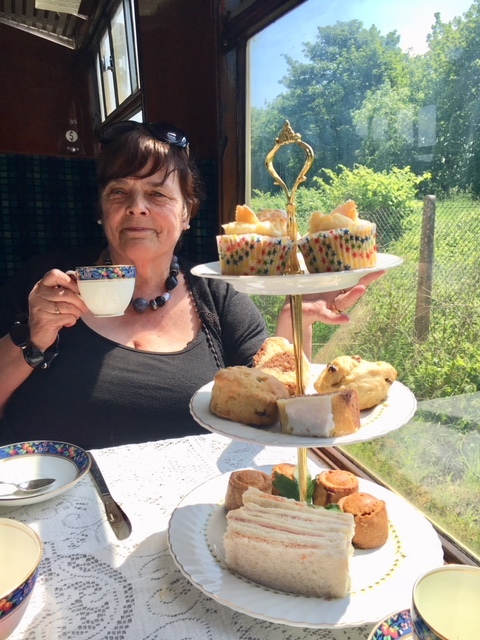 The blog team received some “earache” for not mentioning last week the successful trial of Alison’s cream teas in the former FRT buffet car on the Bank Holiday Sunday. Assisted by Matt Bedford, the teas provided to the “guinea pigs” received the thumbs up and so a public launch is now planned for Sunday, 19th August. Well done, Alison. The ten year boiler certificate for Furness Railway No. 20 expires on the 8th July and so it is planned to have a “last hurrah” for the loco at the RSR on the 7th and 8th July. Then it will be a case of stripping it down for overhaul in the FRT shed. Plenty there to keep us busy over the autumn and winter months. 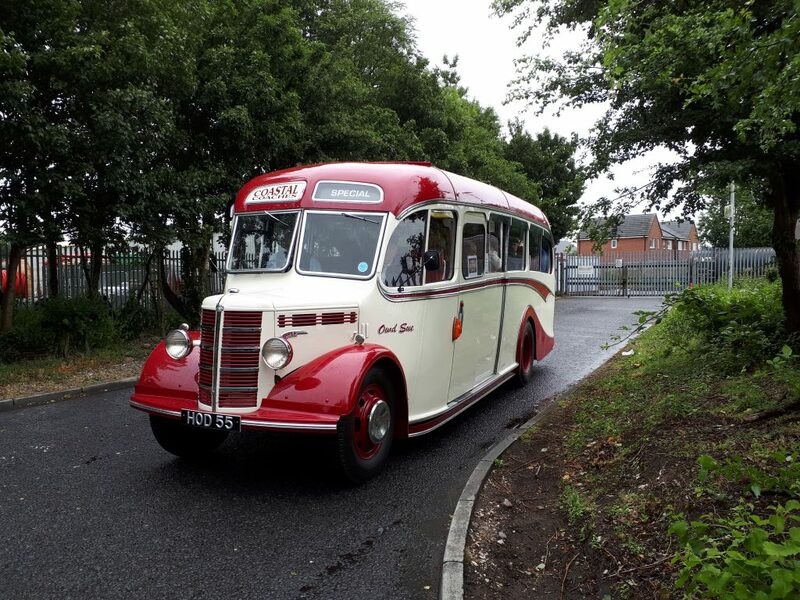 And finally, a reminder that the RSR is holding its first Beer and Cider Festival this weekend complete with Classic Cars in attendance and a vintage bus service from Preston station. Late trains will be running on Saturday evening. 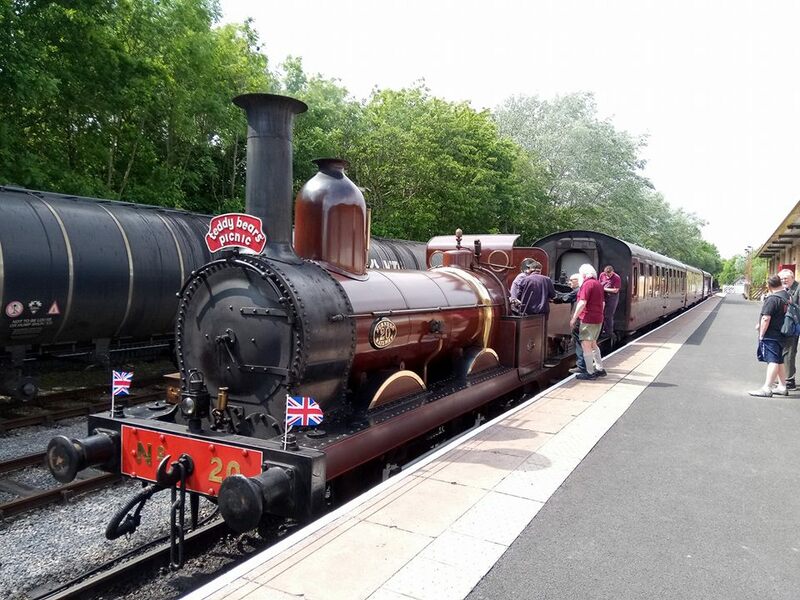 We start this week’s blog with the sad news that Chris Mills, a long standing director of the Ribble Steam Railway, who also joined the FRT in recent years, passed away yesterday morning after a long and determined fight against illness. Chris, despite his health problems, remained a larger than life character who took on the duties of membership administration when Peter Sinclair retired in addition to his role as editor of The Ribble Pilot and administrator of the RSR’s web site. Chris was also in close touch with the media and arranged advertising for special events. He will be very much missed at Preston and our thoughts go out to his wife, Sonja, and Chris’s family. Furness Railway No. 20 made a return to steam at the RSR over the Bank Holiday weekend, operating successfully over the Saturday, Sunday and Monday. The tender had been lowered back on to its rear wheelset the previous Wednesday after attention to the rear right axlebox. 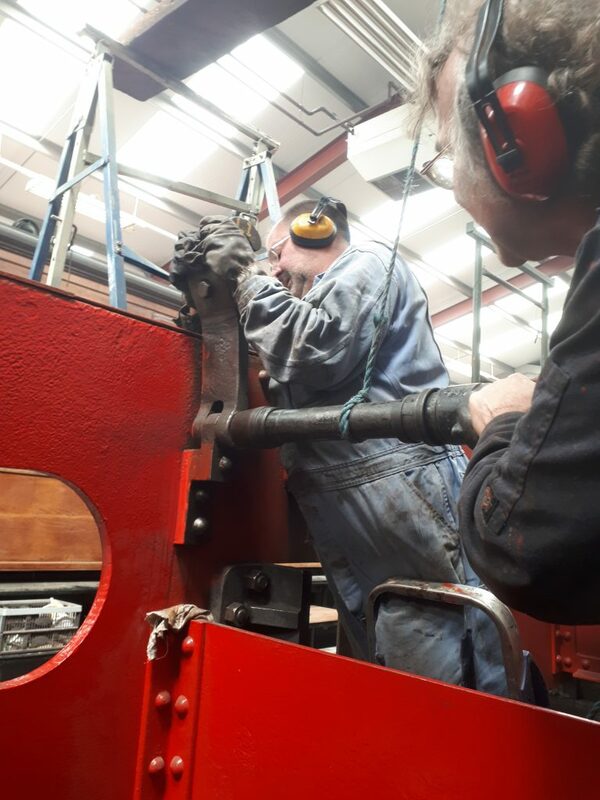 We are pleased to report that the axlebox showed a significant improvement in performance and, whilst still warming up over a period of time, was nothing like as bad as had been experienced at Shildon during FR 20’s latter steamings there. No doubt the axlebox will get further attention during the locomotive’s forthcoming overhaul. A Facebook Live was filmed on the footplate of FR 20 that day, which was broadcast “live” on our Facebook page, to record the complete run along the length of the RSR. This has proved to be extremely popular – it’s been shared 90 times and been seen by more than 6000 people. If you haven’t watched it yet, it’s here..
News of the generous donation of former Furness Railway No. 25 aka Barrow Haematite Steel Company No. 17 to the FRT by the Executors of the late Bert Hitchen’s estate is now in the public arena and we have had a very positive reaction. Both Steam Railway and Railway Magazine sent their congratulations and the view that the FRT was the right and proper custodian of this locomotive, and similar views have been expressed over on our Facebook page. 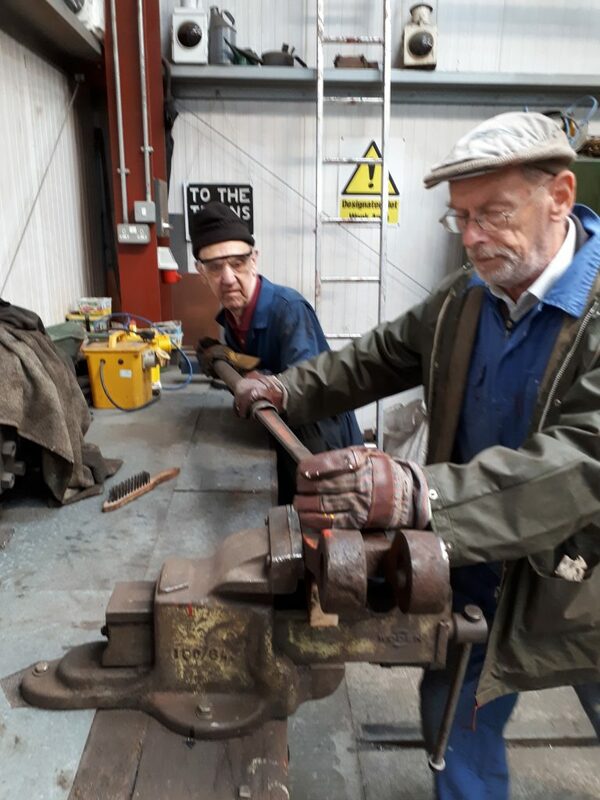 Visits have been made to Carnforth by Alan, Keith and John Dixon over the last two Thursdays in order to retrieve the smaller components of 25/17. 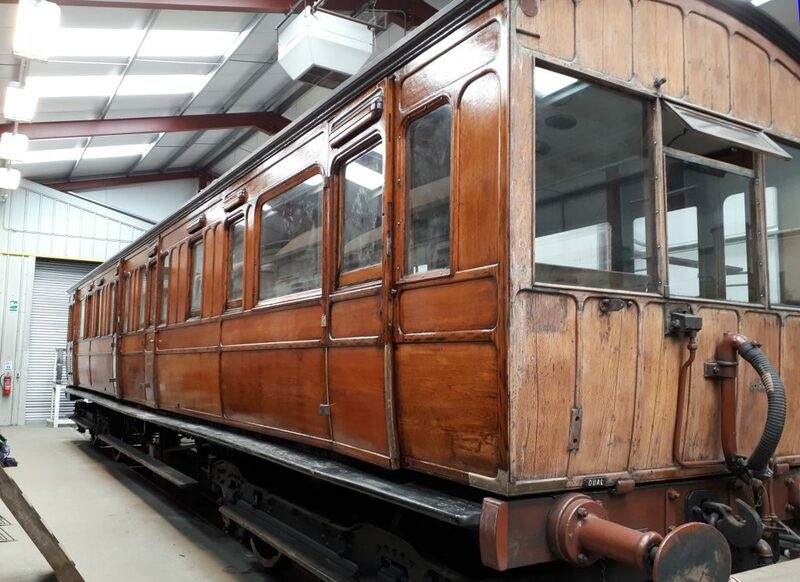 A further visit is planned for this next Thursday after which a plan will made to bring the frames, cab and wheels to Preston. 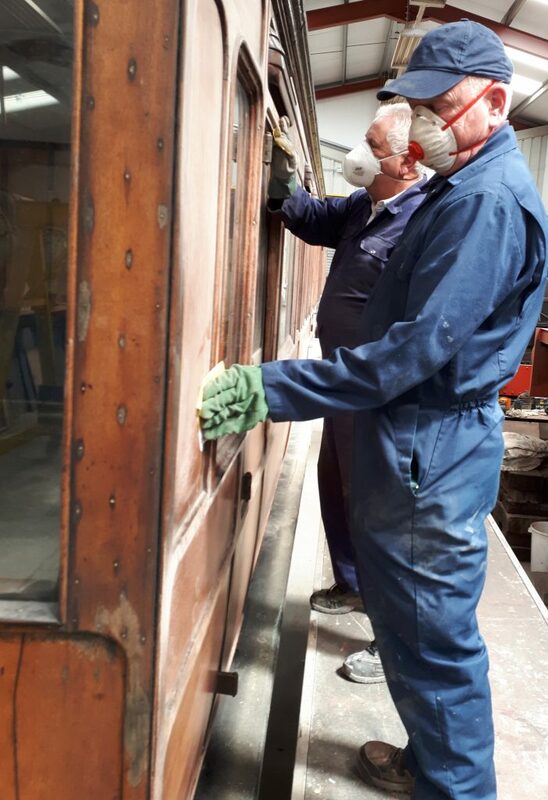 Work has continued on the FRT’s projects, including the sanding down of Great Eastern Railway Royal Saloon No. 5. John Davis and Paul Newton are seen here hard at work. We conclude by having to report that the end may well be nigh for FRT Campervan No.1 which, as we reported a few weeks ago, suffered a clutch failure on the A66 whilst returning from Shildon. Unfortunately, it also suffered a more terminal brake failure whilst being manoeuvred at the garage, where it had been towed for repair. It appears that it came off worse when the front of it ran into a wall! Still, Alan reckons that he got his money’s worth out of it over the last nine years.